On Skatter Tech we constantly emphasize purchasing cases for your expensive gadgets to maximize protection and to prevent them from experiencing as much damage as possible. 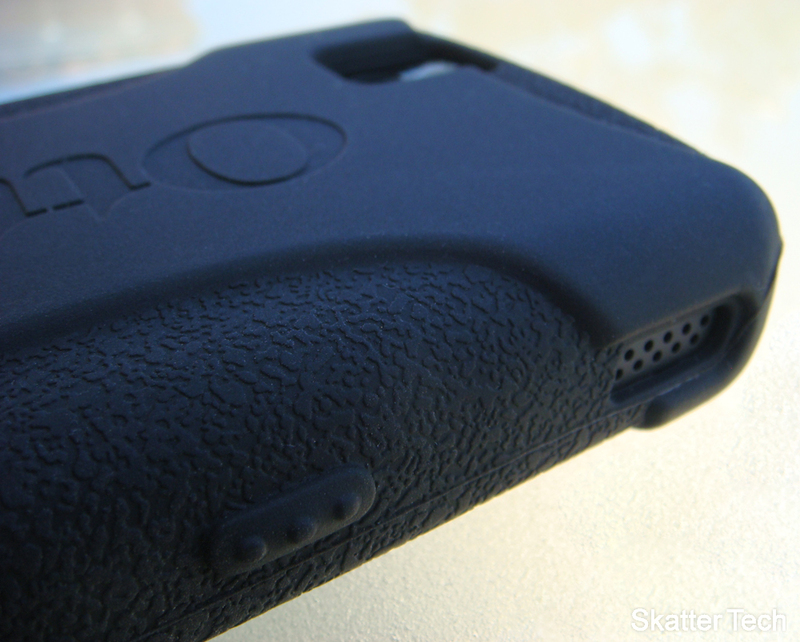 Today we’ve got the Impact Case for the BlackBerry Tour by OtterBox. The company specializes in making heavy duty cases for just about every popular gadget on the market. Some of their cases look as though they could be run over by a tank and still survive. I personally think some of them look a bit overkill for the average user, but there are definitely situations where they would be put to good use. Fortunately the Impact Case being reviewed looks great, offers excellent of protection, and is affordable. Some cases I’ve come across have been quite a pain to install. 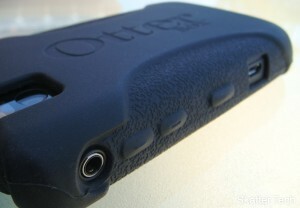 Placing the BlackBerry Tour into the OtterBox Impact Case takes a mere 15 seconds. The silicone case easily stretches to let the device slide in. The Screen Protector was also fairly easy to install. Just clean the screen with a microfiber cloth first, then wipe it down with the cloth they provide to clear off any lint. Then just align and place the screen protector onto the display from one side to another. There weren’t any air pockets or bubbles that got caught in between, but if some do, just use the provided application card to squeeze them out. Once properly applied, the screen protector looks quite clean. The BlackBerry Tour’s display wasn’t impaired in terms of brightness or visibility as I’ve seen happen with some other ones. It stays on quite firmly and won’t come off unless you actually try to remove it. The main quirk I had was getting a “sticker tab” that was adhered to the screen protector off. It was placed there to help separate the screen protector from the packaging. Unfortunately it leaves behind a fairly nasty residue that took me quite a while to get off. I soon found out that there was yet another layer covering the top of the screen protector as well. It took a second to peel that off and the display now looks marvelous. Plus, it’s thick enough that it should protect the unit’s display from even some of the deepest scratches. The Impact Case protects just about the entire BlackBerry Tour. The only major area that is left exposed would be the display and keyboard. There are perfectly crafted cutouts made for the earpiece, LED indicator, headphone jack, micro USB, and an opening for the camera. The volume toggle, speaker, camera capture button, voice command key, and the two buttons on top are all designed to function while in the case. The thickness of the silicone on the sides might be adequate enough for preventing scratches, but were too thin to reduce the force of a drop. The silicone is extra thick around the top and bottom ends of the case and is designed in that fashion for a purpose. Those two areas obtrude enough that they would be the first part of the device to touch the ground during a fall. 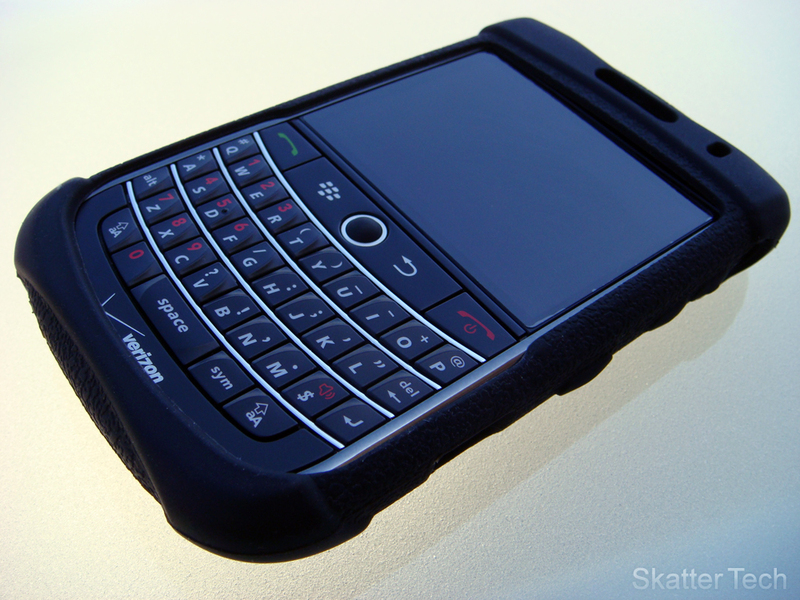 As implied by the name of the product, the case is designed help reduce the impact the BlackBerry Tour faces if it were to be dropped. From the looks of it, the case will definitely help cushion an impact. Overall the Impact Case, deserves to be well noted and considered when looking to purchase a new case for your BlackBerry Tour. It looks professional, doesn’t ruin the style, and will go a long way to protect your device. It’s also a plus that a screen protector is thrown into the package. And best of all, it’s available for a fairly reasonable price of $19 directly from OtterBox’s website. The sticky tab that is mentioned is attached to another layer that’s supposed to come off–there is no clean up. There are three layers to the screen protector, not two. You peel off the first tab, which is attached to the inside layer of the screen protector to reveal the sticky side. After you attached this side to the screen, you then peel off the outside layer that the second sticky tab is attached to. If the reviewer had to clean off the sticky tab’s residue from the protector, that means he’s got two layers attached to his screen and failed to peel off the outside layer of the screen protector. Sherri, yes you are correct. That is why I pointed out that I got confused due to the 3rd layer. I gave it 5/5 for screen protector. And I do like idea of having three layers. Makes installation a lot easier. Most other screen protectors I’ve come across usually only are packaged with two. But thanks for pointing that out, more people might still be getting confused! Ooops, sorry. Somehow, I didn’t even see the sentence, “I soon found out that there was yet another layer covering the top of the screen protector as well.” At any rate, I’m using this case, and I love it. 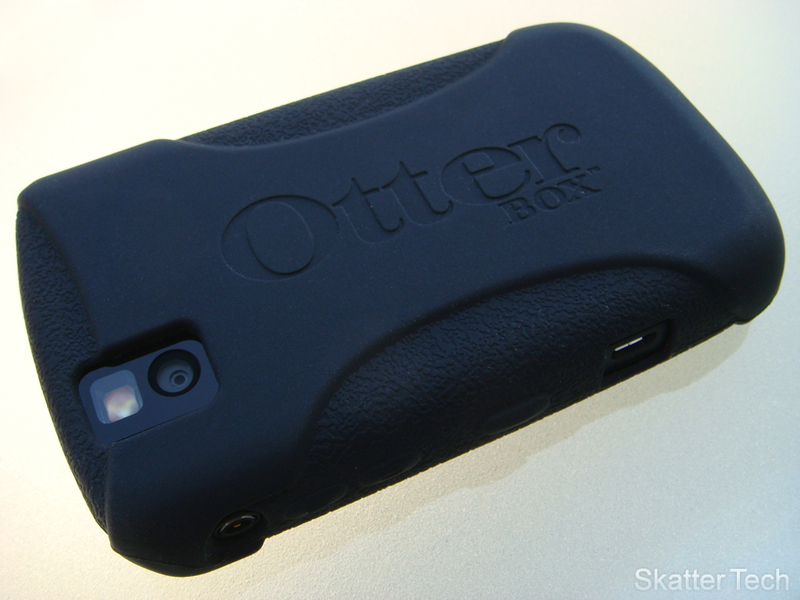 I tried out the Otterbox Commuter case for the Tour and ended up sending it back for a refund. The rubber around the charging port kept pushing my charger out. That’s a good way to brick the phone, to have the charger pushed out while I’m doing an OS update or whatnot. I prefer the Impact case. I’ve already unintentionally given it the “drop test” and it passed with flying colors. I accidentally dropped my Tour from a height of at least three feet, screen first, onto a hardwood floor. My screen was fine, and my phone was not harmed in any way. i would to buy for bold 9000, what the price and delivery?